Boris is a very solid player. 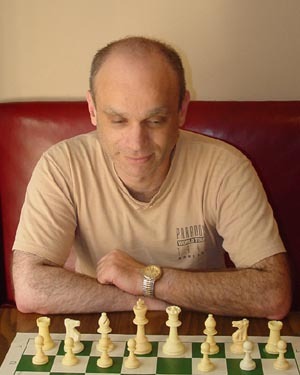 He loves to play chess and has been a very strong supporter of the NY Masters thus far. He likes to play stodgy openings like the French, the Stonewall and usually favors quiet 1.d4 variations when he has the white pieces. When Privman has the white pieces he is very difficult to beat, yet on the other hand sometimes lacks ambition in his opening choices. Due to his experience he doesn�t get into bad time trouble and also can play sharp positions despite his rather quiet openings. He�s quite resourceful when it seems as though his position is hopeless. Because of these factors it�s never a walk in the park when you play against Privman.